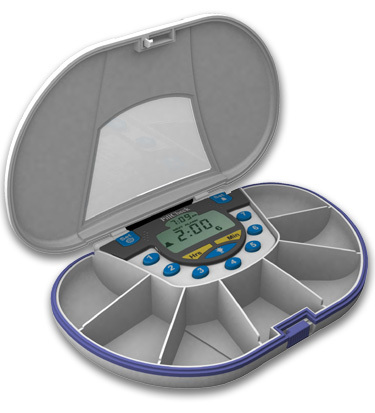 You can program this electronic pillbox with up to 7 different times of day, which is more than any other pill medication reminder on the market. 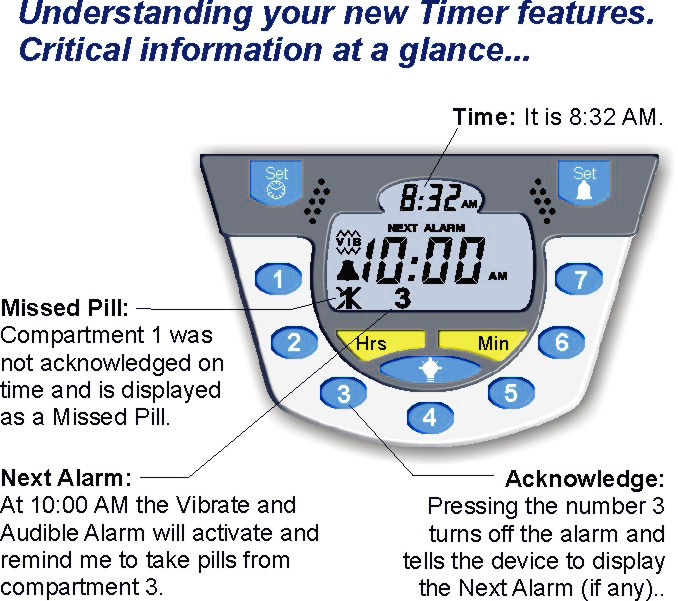 When the alarm goes off, the display blinks (to allow a visual reminder), and you can program it to either sound an alarm, or vibrate, or both. The entire unit can be locked securely, but the spring-loaded mechanism assures simple release.